A cross of our old and trusted Purple Power with a big fat tasty Moroccan mother..
Purple Maroc Feminized Cannabis Seeds by Female Seeds: A cross of our old and trusted Purple Power with a big fat tasty Moroccan mother. The mother was selected on symbol and taste, she adds power and resin production to the Purple Power. Both cannabis strains are super early and the fastest varieties available for outdoor in cold/mountain climates. 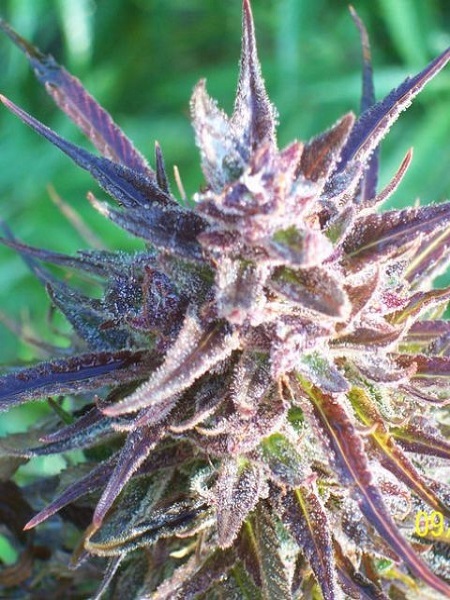 Purple Maroc can easily deal with high levels of humidity making it the perfect strain for higher altitude regions. Best sowing time for this cannabis strain is end of April.